Your romantic personality needs to be underlined with a gorgeous hairstyle, so check out these hot new 'dos and styling ideas that can make you look dazzling with every occasion. Experiment and make sure your look becomes inspirational! The best hairstyles are always the ones that suit your style, face shape and personality best, so you don't have to wear the latest hair trends to look beautiful. A true romantic will always look and feel fabulous with a simplistic, not too edgy looking hairstyle, so if you need to draw inspiration for your next look, take a peek at the following romantic hairstyle ideas and reinvent your look. Simple and feminine hairstyles are the perfect match for an incurable romantic, and the new hair styling techniques and tools available couldn't be more helpful in achieving a variety of stylish looks. Practice and find the best matches for you. Some hairstyles are super easy to create while others require a little bit of skill, time and effort, but the results will be worth every bit of time spent styling your locks. Up styles are definitely the most popular hairstyles of the season as they not only look amazing, but also look more elaborate and more appropriate for a day/evening out. 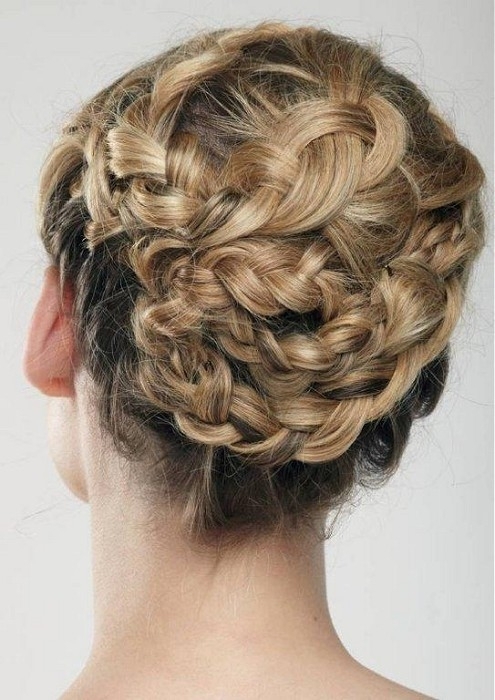 These hairstyles take a little bit more time to style, but the effort put into styling makes the result worthwhile. However, to achieve a stylish updo, one needs to benefit from at least a medium hair length, but for all those who want to experiment, hair extensions pose as a great aid in creating that extra hair length that makes all the difference. Pull your hair up in a simple and elegant top knot, style a low and timeless bun, opt for a simple yet fabulous high up ponytail or swish your hair on the side and try on braiding techniques. The options are endless, so experiment but try to avoid the eccentric, flashy hair zone. Simple is timeless and thus a loose hairstyle will always be a great option for you provided that you keep your looks neat and fabulous. There are a variety of products and tools out there, products which can enhance your hair texture, leaving your hair soft and luscious, a true magnet for attention, so don't hesitate to use them. Go curly or wavy as these hairstyles have the perfect blend of seductiveness and innocence, a great match for your romantic personality. You can do wonders with the help of a flat iron and some shine spray, so learn what style suits you best and go from curly to wavy to sleek straight and you'll always look surprisingly fresh! Women with shorter hair should opt for a sleek straight or a slightly tousled look as this way the hair will be best put into value. 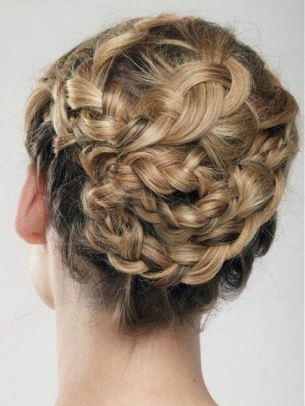 Few hair accessories such as a simple hair band can do wonders for your hairdo, so give accessories a try.